Welcome to Cub Scout Pack 73! Our Vision: To provide a supportive and nurturing environment for young boys to learn about themselves and the world around them. Our Mission: To engage boys in activities that prepare them to be thoughtful, responsible and respectful of others. Scout Oath: I promise, on my honor, to do my best. To do my duty to God and my country and to obey the scout law, to help other people at all times; to keep myself physically strong, mentally awake, and morally straight. Scout Law: A Scout is trustworthy, loyal, helpful, friendly, courteous, kind, obedient, cheerful, thrifty, clean, brave, and reverent. We are driven to provide a fun and energetic year-round Cub Scout program with trained leaders who are eager to work with the Scouts and help them broaden their horizons and try new things with the Scout motto of "Keep It Simple, Make It Fun" in mind! Through service work and engaging activities at both the Pack and Den levels we are helping shape the next generation of youth to be of sound moral character and who also enjoy giving back to their community. Mixing in fun Pack events like the Pinewood Derby, Scouting for Food, Raingutter Regatta, Space Derby, Cake Bake, family camping, summer day camps, professional sporting events and adding in action and adventure along the way we are building a solid program that has something to appeal to all boys! We find ourselves energized by the ideas and initiatives being created by the incoming Pack Leaders! 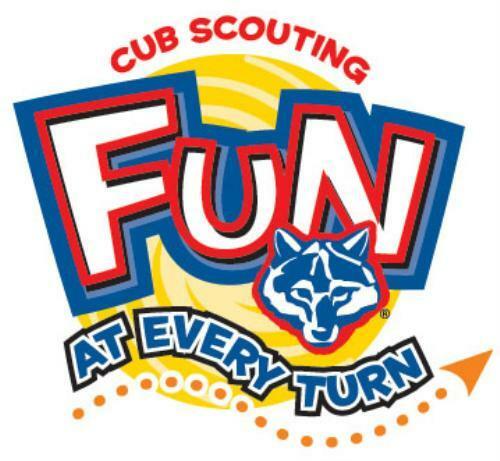 We will be featuring new pack events this year and will do our best to put the outing back in scouting! We look forward to getting to know your scout and your family in the years to come, please do not hesitate to contact us for more information - we would be happy to get in touch with you! 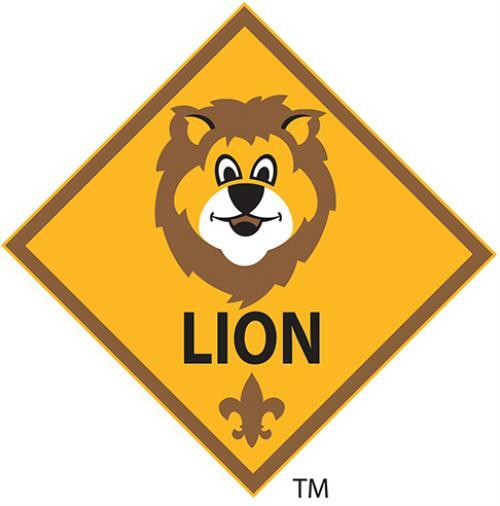 Pack 73 is PROUD to have been one of the first Cub Scout Packs in the area to offer the new BSA Lion Cub program, now part of the overall scout program. This program is especially designed for kindergarten boys. Registration opens each August for boys entering kindergarten (5K) in the fall. The program requires an adult partner to be present with their Lion Cub at all activities. The program is full of fun kid-sized adventures and participating in some very special events with the rest of the Pack. More information on the Lion Program can be found HERE. Cub Scouting is one of the best adventures a family can embark on. Where else can you earn badges for learning great skills, sleep overnight on a submarine, sleep at Lambeau field, shoot a bow and arrow, give back to your community, camp overnight outside, race a model car you built yourself, and MUCH MUCH more all in the span of a single year? If you have a boy in grades 5K through 5, it's a sure bet he'll find something he enjoys in Pack 73. With awards for video games, athletics, music, art, and nearly every other subject under the sun, he'll be "learning and earning" with us in no time! Pack 73's program is built on the experience of Eagle Scouts raising their sons throughout the program they love. Contact us today at Pack73Dousman@gmail.com! Each year we change up our Pack programming to keep activities and events engaging and entertaining. We hold an annual Pinewood Derby, Blue & Gold Dinner with Cake Bake and May Crossover picnic celebration. Lambeau Field Sleepover, Milwaukee Public Museum Sleepover, Wave Games, Bucks Games, Brewers Games, Admirals Games, Harlem Globetrotters Games, Country Springs Waterpark Nights, Cubanapolis, Old World Wisconsin, pumpkin farms, EAA sleepover and many service projects in our community. Each event offers learning and adventure! New Scouts are always welcome to join our Pack, it does not matter what school you go to - if you can get to Dousman we will make a home for you with Cub Scout Pack 73! AND you can join anytime!